Bob and Jonwin are a husband and wife team operating in the Central Otago region. Bob, as a trade qualified builder worked as a site foreman for a large commercial entity before setting up his own business in 2008 with Jonwin. Bob subsequently focused on residential building and renovations in the Southland – Central Otago region creating many great relationships in the industry. 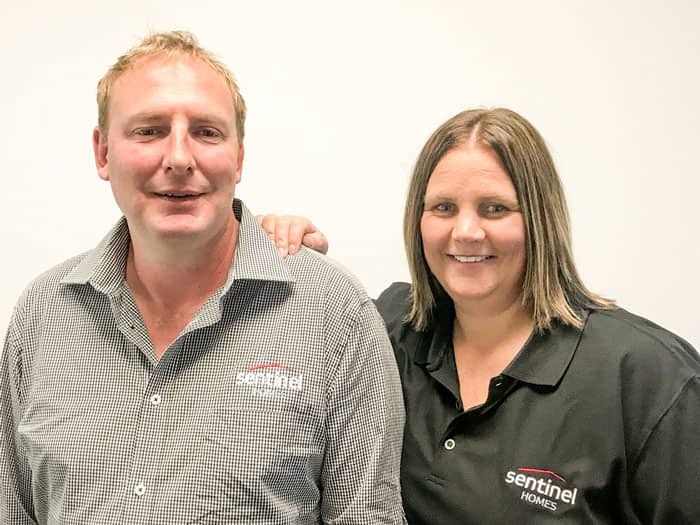 Bob and Jonwin did notice demand growing for a mid-market quality builder in Central Otago and set about investigating how they could help provide that service. After some time it was decided that Sentinel Homes was the right fit for their business and Bob has now taken his buildings skills, strong industry relationships and quality Sentinel product into the local market. Jonwin meanwhile continues to juggle her work supporting the local farming community as a bovine tuberculosis technician while also bringing up their two young children. Bob and Jonwin welcome your enquiry so that they can show what a Sentinel Home would do for you and your lifestyle.